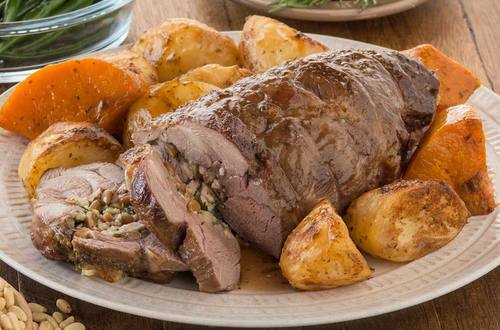 Serve up a stunning Spring roast with our feta and pine nut rolled lamb recipe. Prepare and cook in just over an hour this dish is perfect for the whole family. 1 Preheat oven to 180˚C. Combine feta, garlic, rosemary, breadcrumbs and pine nuts, mix well.